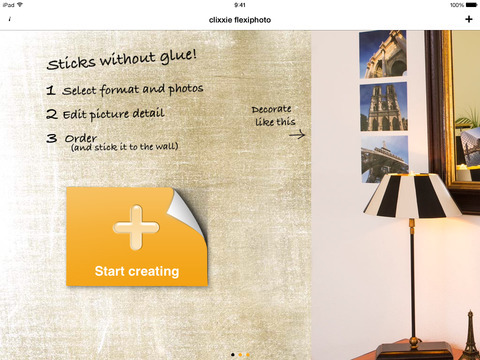 Would you like to print your best snapshots and put them on your walls, doors and windows? Without leaving holes or glue stains? 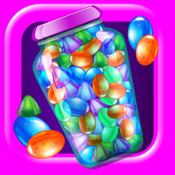 Then try the completely new and easy way of photo decoration! 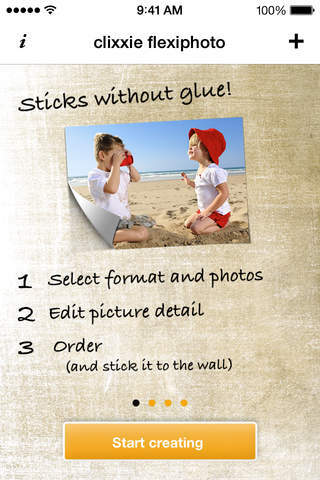 Order your favorite photos as "flexiphotos" directly from your iPhone and iPad. The flexiphotos consist of a special electrostatic foil that sticks by itself to all smooth surfaces without glue, nails or tape. You can peel them off without a trace and place them anew. 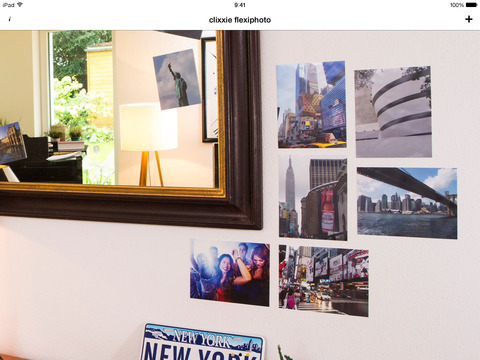 That’s how you can decorate your walls with photos from your holidays, family, friends etc. time after time. 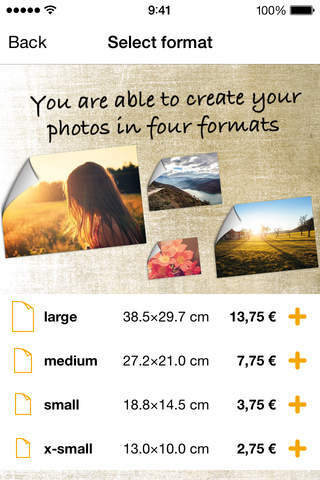 That’s how you order your flexiphotos: Select photos directly from your iPhone or iPad, edit the frame if necessary, then just place the order. A couple of days later your photos will be delivered and you can start decorating your four walls. And your family, friends or your darling for sure will enjoy a flexiphoto as a gift! 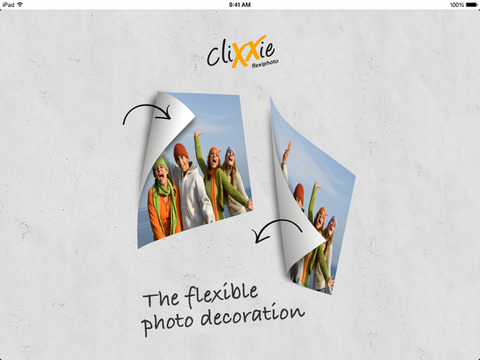 Thanks to your great feedback and support we are able to improve the clixxie flexiphoto experience every day! Continue to help us and make sure to contact us at kontakt@clixxie.de should you have any questions, remarks or feedback! Please be advised that the durability of flexiphotos cannot be guaranteed on rough surfaces, such as woodchip wallpaper or roughcast walls. In addition, dust or dirt on the flexiphotos, as well as extremely frequent rearrangement can reduce the durability of flexiphotos. The electrostatic charge of the flexiphotos decreases over time depending on how often they are peeled off the wall. By rubbing the photos on hair or textiles, they can partly be re-charged. HAPPY HOUR: Get 30% discount on all your flexiphotos when ordering between 12 and 2 pm (discount will be subtracted automatically in the order summary). 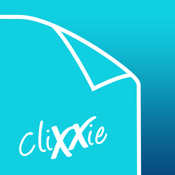 Do you already know clixxie photobook? 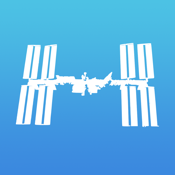 Download it for free in the App Store and easily create photo books with your smartphone and tablet photos!